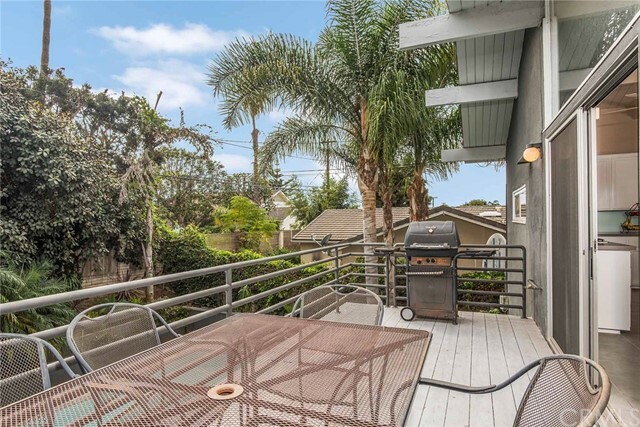 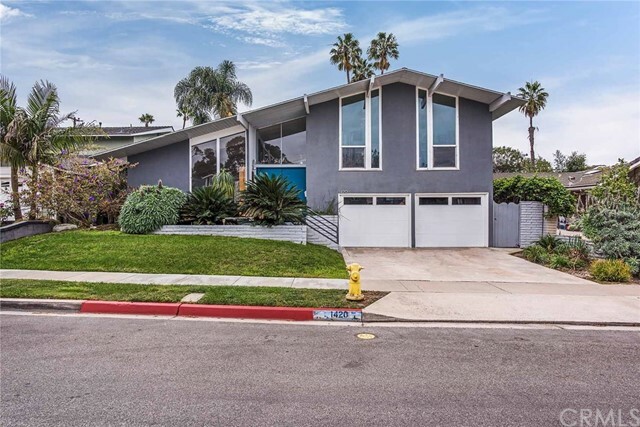 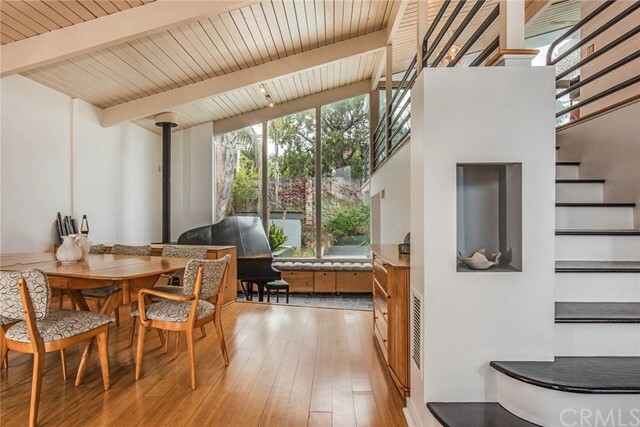 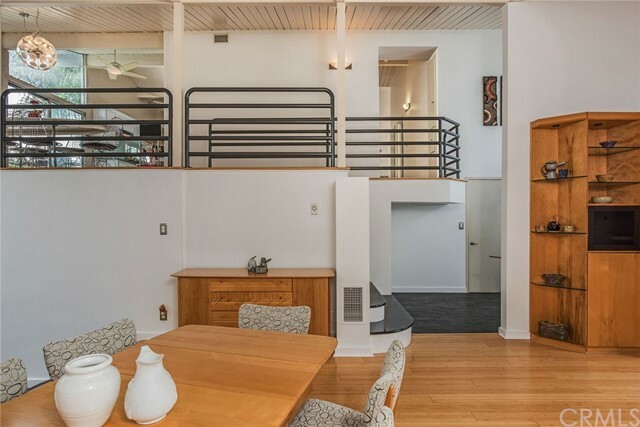 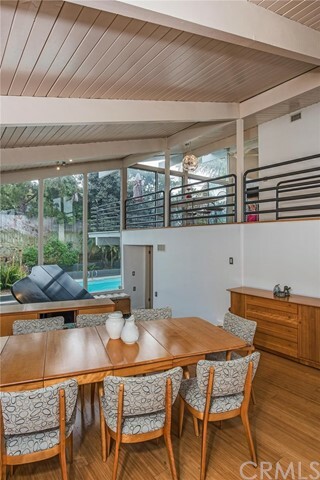 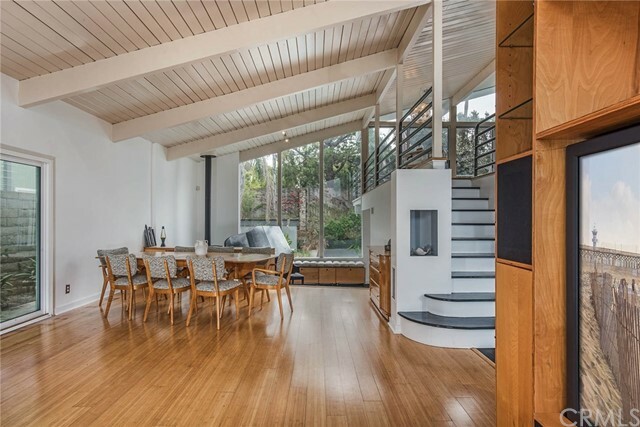 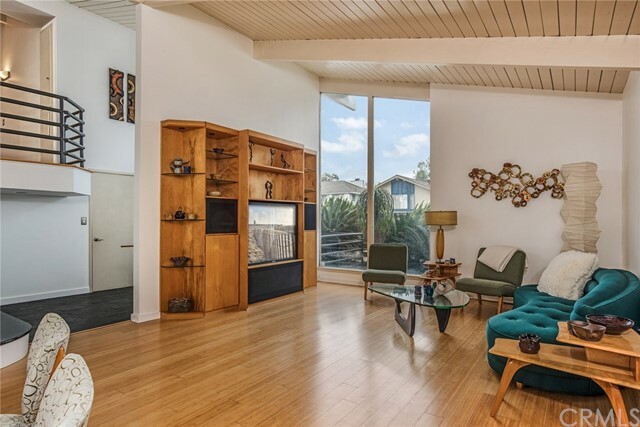 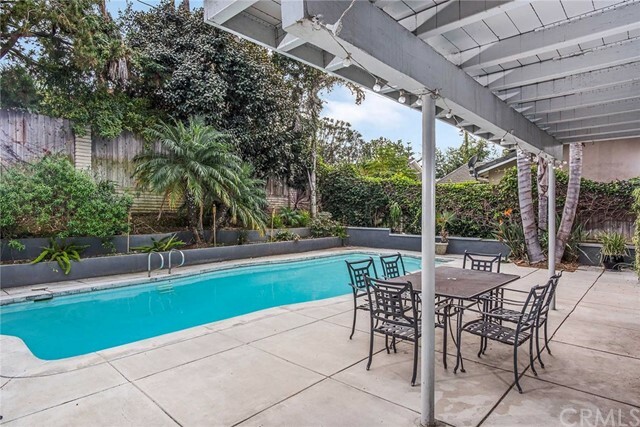 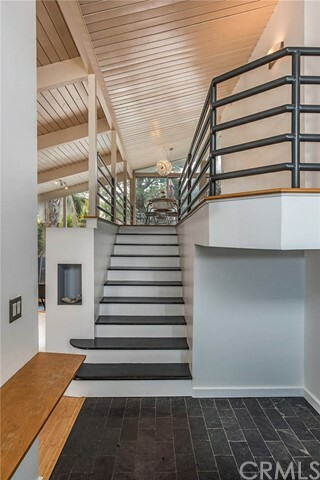 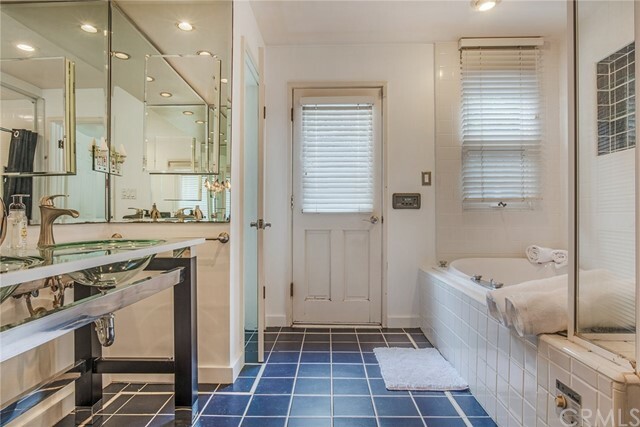 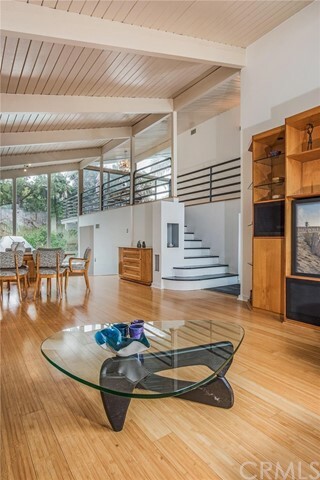 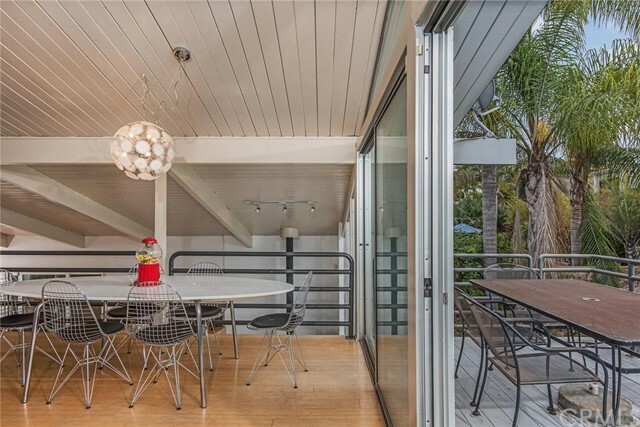 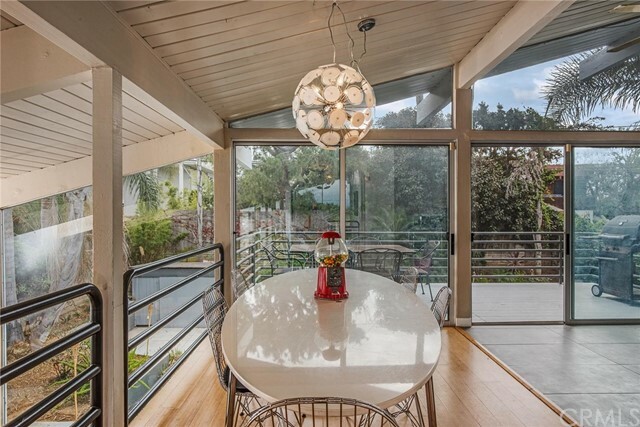 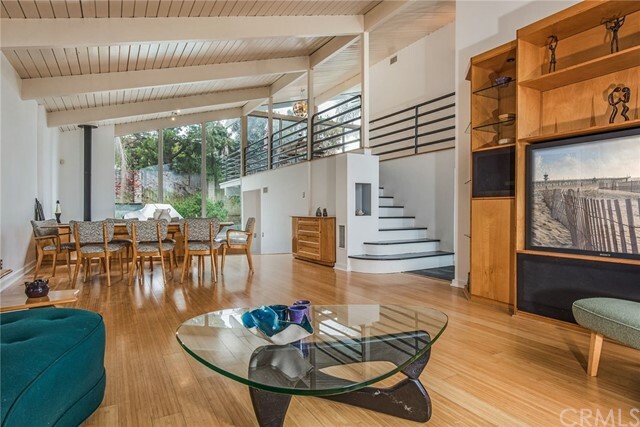 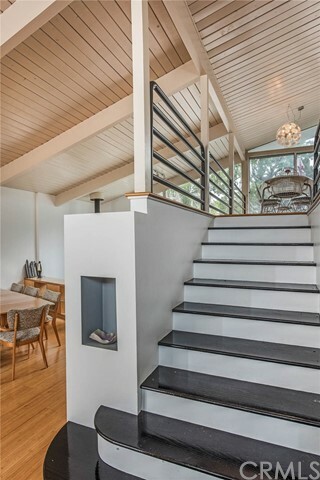 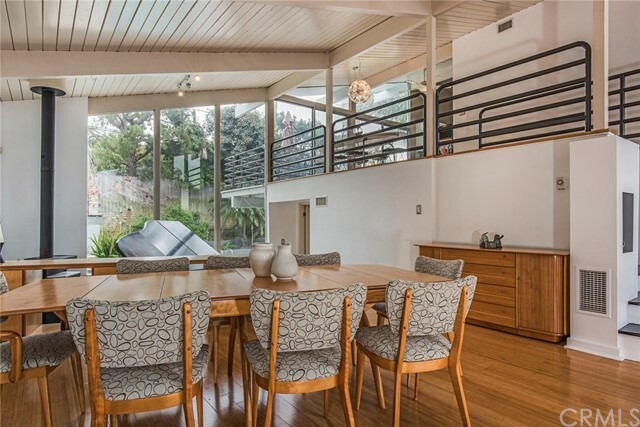 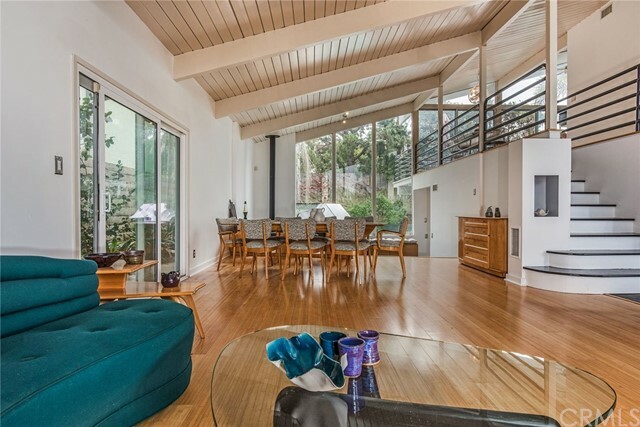 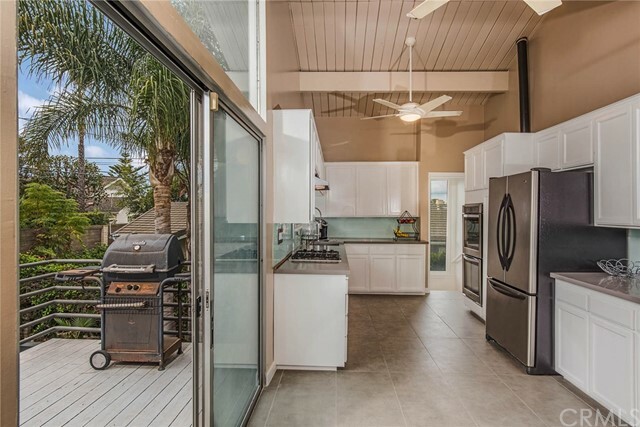 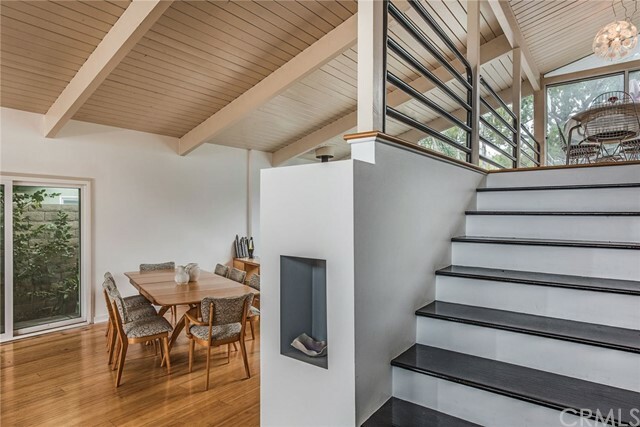 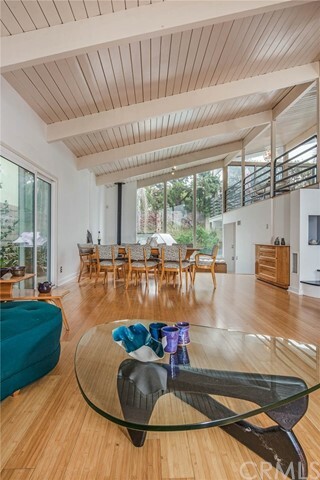 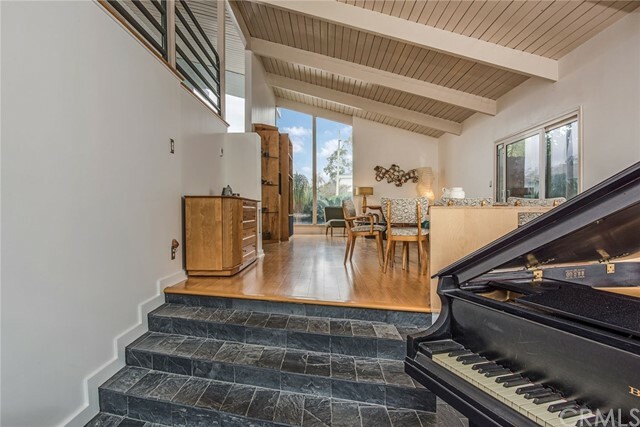 Here is your rare opportunity to own a dramatically designed mid-century modern home on one of the most sought-after streets on The Hill in Seal Beach. 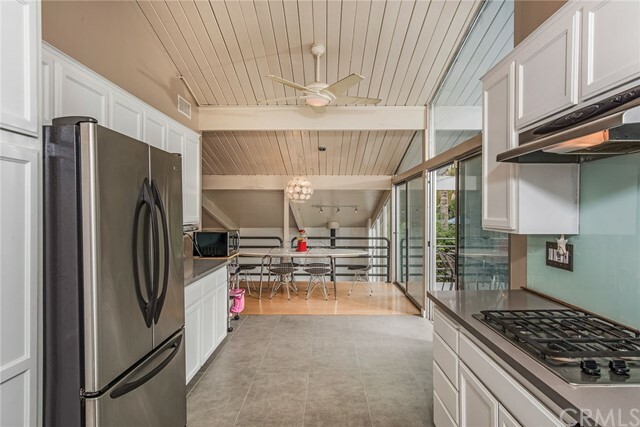 The design of this stunning pool home features a pitched roof and floor to ceiling windows on the front and back of the house, accented by a wide-open floor plan on two levels. 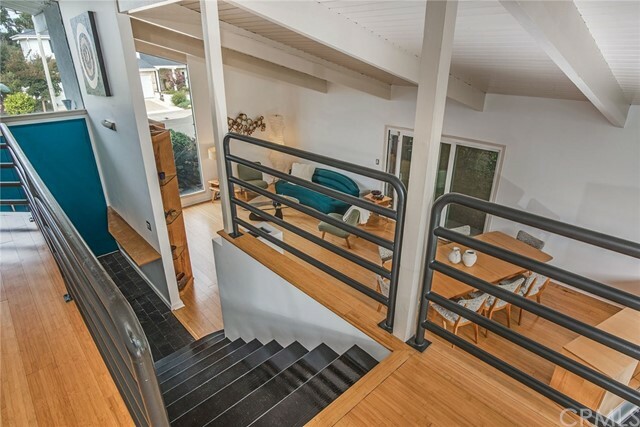 Walking in through double front doors, an entry introduces you to modern architectural design of expansive living areas, framed by walls of glass. 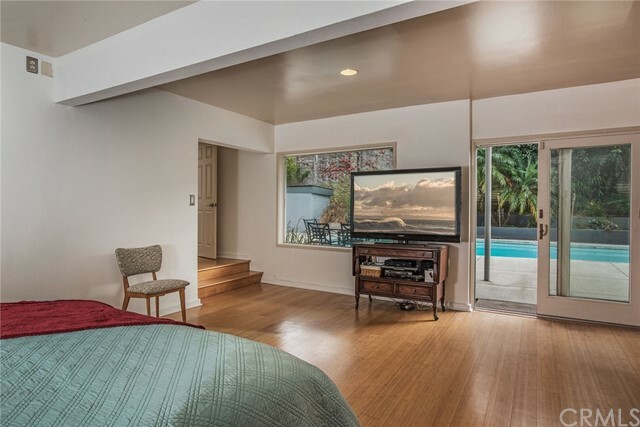 Just a couple of steps down from the main living area is the master bedroom suite that open up to the backyard and pool through sliding glass doors. 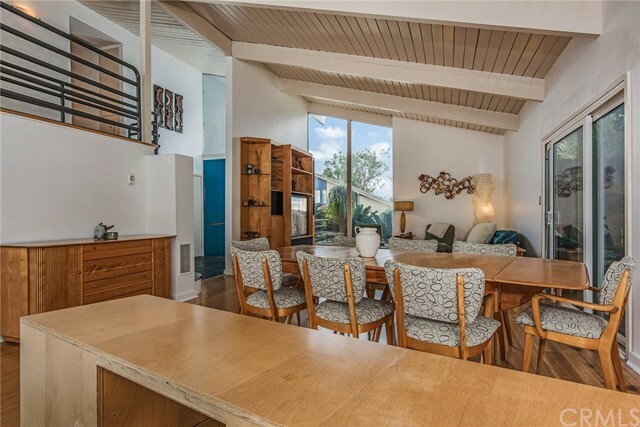 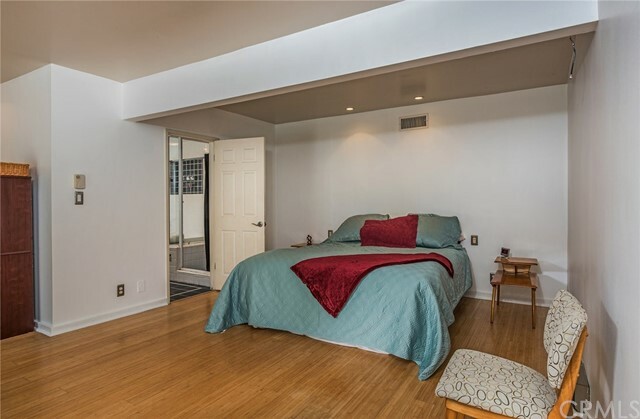 The other 3 bedrooms and 2 bathrooms are on the 2nd level along with the recently updated kitchen and dining area that open up to a balcony overlooking the pool, perfect for entertaining and viewing sunsets. 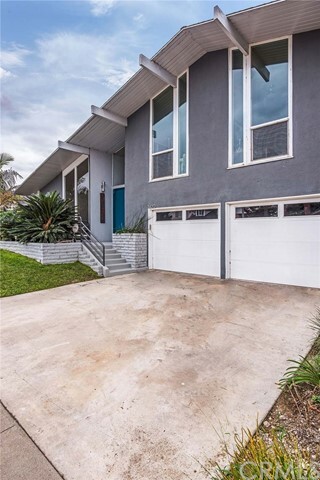 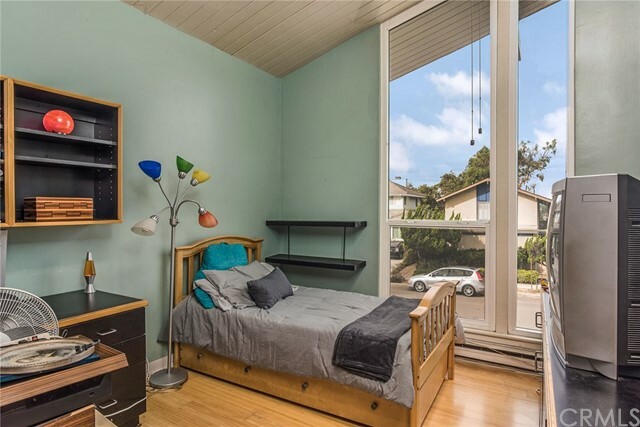 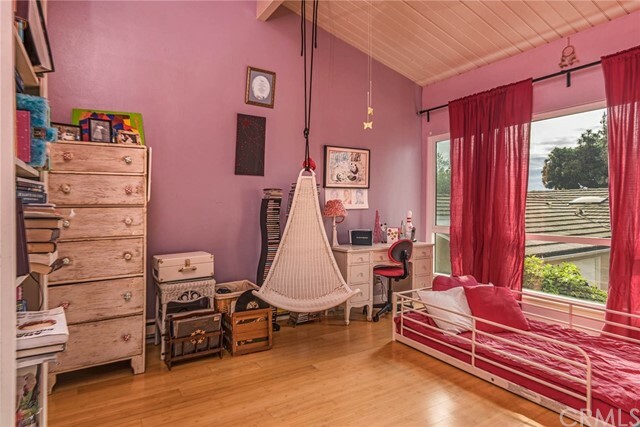 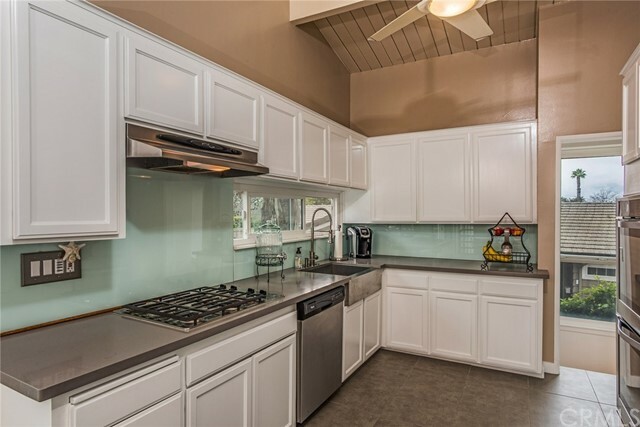 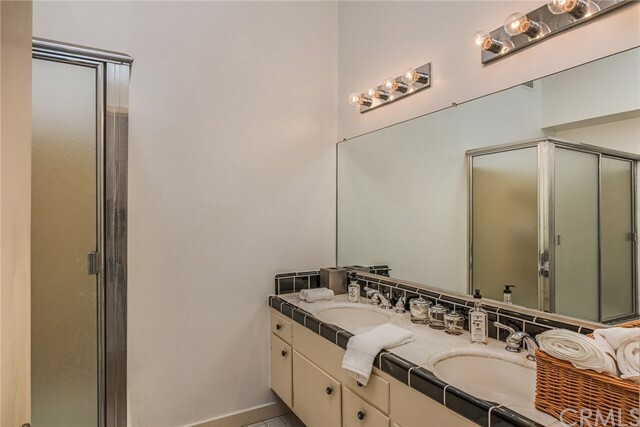 Located in the award winning Los Alamitos School District, this house is in walking distance to McGaugh Elementary school, Main Street and the beach and across the street from GumGrove Park.